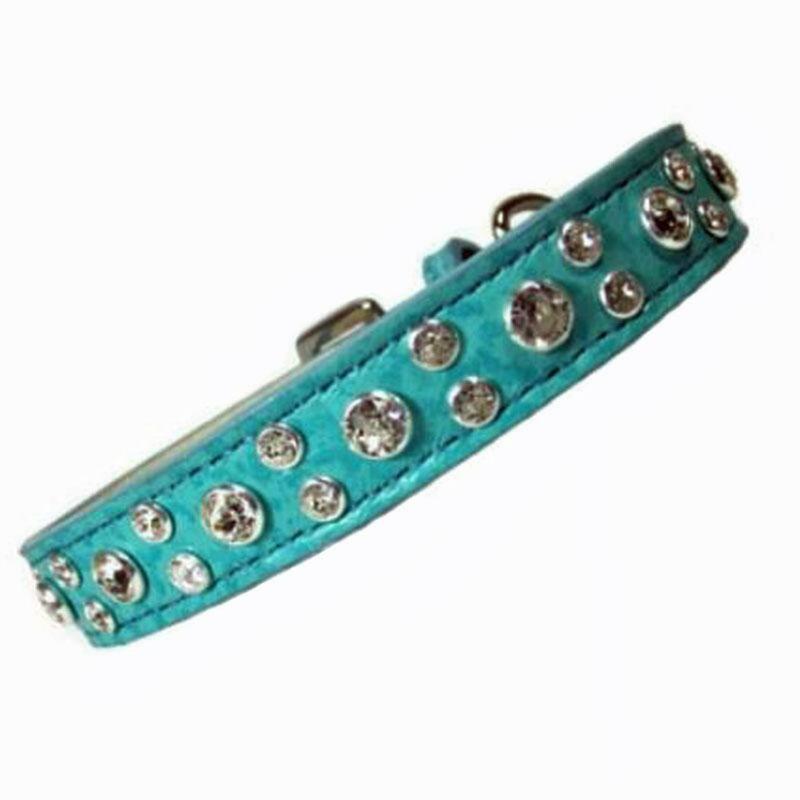 This beautiful leather cat collar will be sure to win you over with the natural shine from the handset Swarovski crystals. Either decide on all clear crystals or select the colored stone you would prefer down the center of the cat collar. They all look terrific and will certainly share the beauty of your cat. The stones are attached with a back rivet to secure each bezel set crystal. The lining is vegetable tanned leather that wears well with time. The edge on each collar is hand painted. Each cat collar comes with an elastic strip near the buckle for your cats' safety. Each collar has a nickel D-Ring near the loop to attach ID tags and elastic close to the buckle to provide extra give. There are 5 holes and the size fitting the center hole closed is the size stated. Please measure the actual size of your cat's neck. If the actual measurement is between two sizes, order the larger size. Sizing is measured when the collar is closed to the center hole. There are no returns or exchanges for this item. 8" x 5/8", 10" x 5/8", 12" x 5/8"